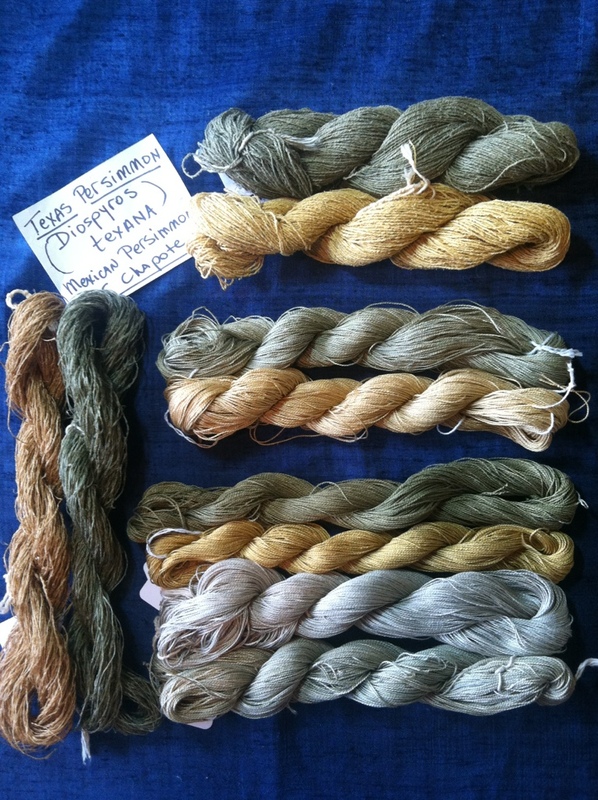 Here are examples of over dyeing and under dyeing with indigo. As I experiment with agarita, weld, cota and persimmon yellows it is fascinating to see the impact of the order color is laid on a yarn as one goes for green. Here are the resulting greens from my valley. My camera might not have captured all the green tones but they are there! Now here are the different components. 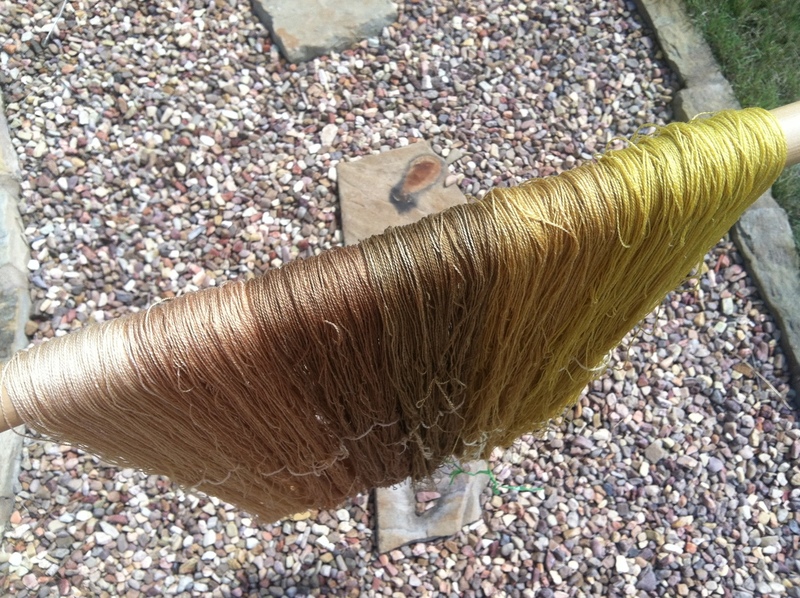 Where appropriate I have laid the yellow in the middle and placed the indigo overdyed above the yellow and the yellow over the indigo below the skein. It made quite a difference in green in how one does the color layers. Finally here is the persimmon series. In this case I used blender indigo over the cold persimmon dip. I like that color layering better than using persimmon over indigo. It is more pleasing to my eye. 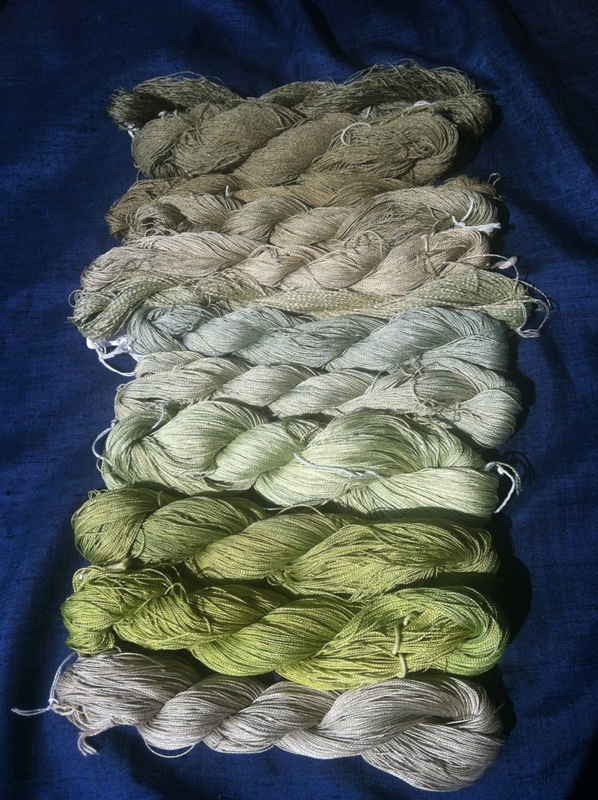 The different substrates or yarns also took the dyes in different depths and yielded different tones. 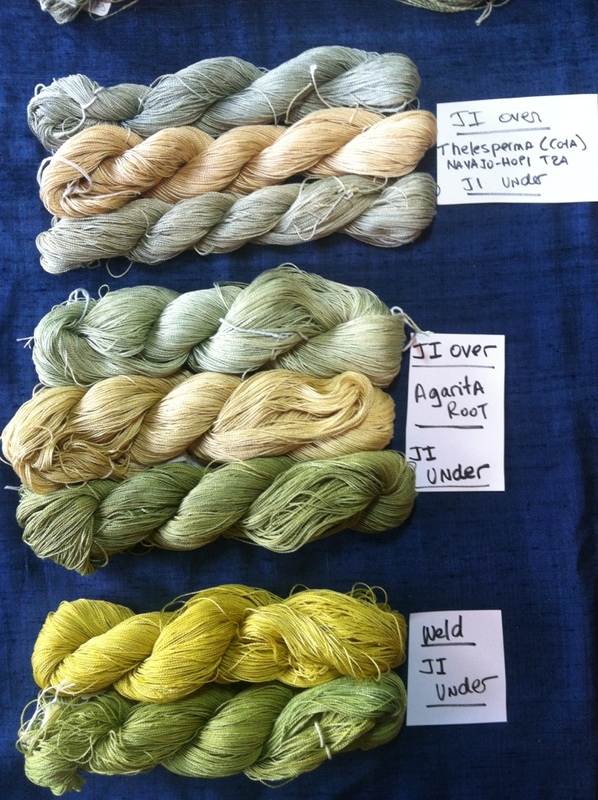 All in all a successful color journey in figuring out greens available to me in my valley!